The overall story was good. How very I found it very superficial and redundant. 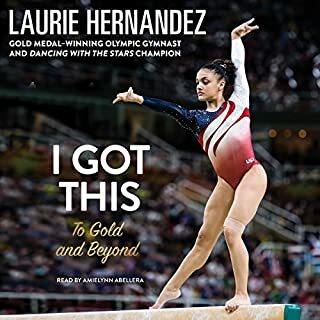 I listened to this one after listening to the Simone Biles audiobook and I was a bit disappointed with this one. It may be that Laurie just didn't have the hurdles that Simone had. However, I think it's more that whoever was writing it did not dig deeper into those hurdles and her overall success.